Introducing Easy Flyer Creator! A simple, easy to use software application, designed to help you create, design, print, e-mail & Upload your Flyers, Brochures, Leaflets, Certificates, Tickets, Door Hangers from built-in Templates. Most important of all, you don't need to be a desktop publishing expert because it automatically builds your flyers and other publishing material for you. Just provide photos and details and Easy Flyer Creator does the rest for you. You got the computer and the printer; now tell the professional printer goodbye and save your money to create your own professional & interactive flyers, Brochures, Leaflets, Certificates, Tickets and Door Hangers in less than 5 minutes. Creating flyers has never been so easy until now. Never spend more than 5 minutes to design a flyer ever again! One of the best Ultrasound scans / image capturing and printing tools, using Personal Computer & Ordinary Printer. Highly efficient and easy to use with zooming scans option. Its automatic scan resolution control system provides Optimal Print Results on any Computer Printer. Scans of special cases can be saved in a separate File in your computer and much more. 5. Rotate Phone to Rotate Image for greater viewing areas. 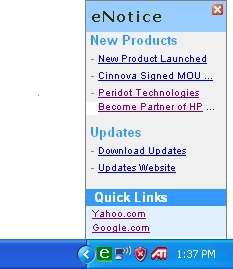 eNotice is an Automated Clients Notification System, eNotice is installed on Client's Computer as a Service Application. This service application keeps on monitoring Database on Web Server and on any updates in online Database it pops up a small Message on Left Bottom Corner of Screen, notifying user of the updates. 6. Best for Notifying Products Updates, Games Score and Breaking News. 3. Automated and real time Backups. 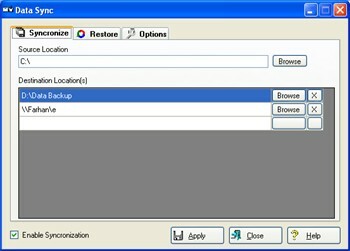 Max Backup is a powerful backup software to take backup of important data in your PC on Hard Disk, CDR-W, MOD, Zip, Floppy, Network & on Remote FTP Server. The Auto Projects System is developed for the Architect Companies to have complete record of their Projects, Vendors, Purchase Orders, Cost Management of the Projects, Record of Payments and Progress of each phase etc. A user-friendly Desktop application designed for detailed record keeping of your projects from start to finish. Auto Projects offers an efficient method of saving data and keeping track of projects , vendors and their payments. This Payroll system is developed to Manage and Track Attendance of all Employees within Company. This easily manageable payroll system along with time management system would Record Time In and Time out of each employee through Finger Prints Scanner (BIO-Metrics System) ,Bar code Based ID Cards or windows Login. Auto Knits is the set of Desktop Applications to Manage, Track and Control, Cut to Pack Processes in a Stitching Units. This state of the art applications allows Managers and Department In charge to monitor Production along with Efficiency and output of each worker within their Department Its modular design allows distribution of work among departments, which reduces production cost and time while maintaining excellent work flow within departments. 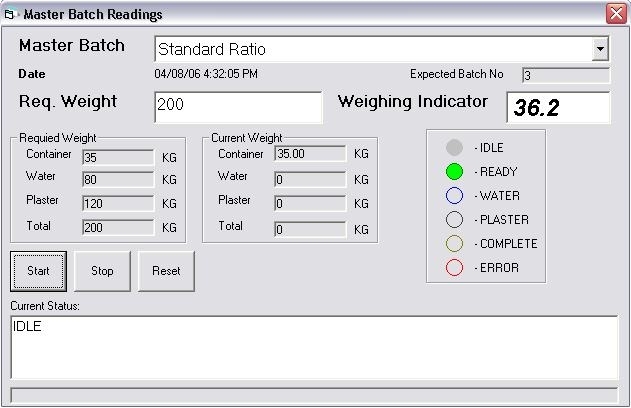 The Auto Batches System is developed for Ceramics Manufacturing Companies to produces Batches of Moulds Automatically, by controlling Electrical Motors and Solenoid valves through Computers Ports. It also manages and track complete production data in a secure database. Homeopathic Production Management System is desktop application to manage, track and monitor production of homeopathic medicines from order taking to dispatch department. This modular application allows production managers to monitor and track production of medicines within Order Department, Labeling, Potentization, Filling, Capping, Filtration, Order Verification, Packing, Dispatch Department, which reduces production cost and time while maintaining excellent work flow within departments. Complete Tracking & Management of Students, Employees, Results Examinations and Events. Highly flexible and secure system enables Institution’s administrators to Locate and search any enrolled Student, Teacher and other Employee.